Foodprints her recent launch is a book with simple yet priceless joys of cooking, sharing, & loving. 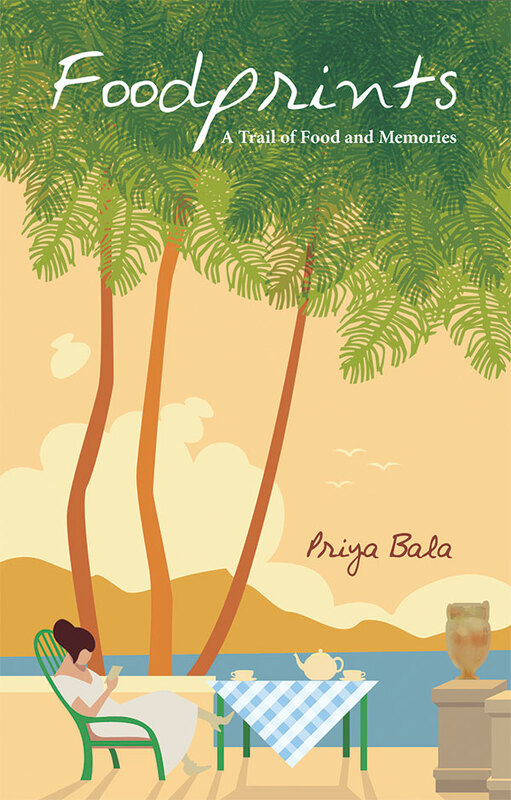 Categories: #Foodprints, @Popular prakashan, @Priya Bala | Permalink. Looking after guests can be a complicated issue – sometimes even an art. What do you say? How do you act? What should you do? And especially what do you cook. Who better to tell us about the art of entertainment than the person who has perfected entertainment to the Asha Khatau reigning queen of vegetarian cuisine, who has thrown exquisite parties that are talked of for days by the who’s who in the celebrity microcosm? “Cooking is a joy, pleasure, a therapy and happiness!” say award-winning author Asha Khatau. The book has come about by her years of making, discovering recipes and entertaining friends and family. “The one word to describe the book would be comprehensive.” “The book is an elaborate collection of highly readable approach to the art of entertaining at home,” says publisher Harsha Bhatkal. “The cuisines and sections in the book take into account every kind of entertaining one can possibly have.” Said Farzana Contractor, editor, Upper Crust said, “We loved every single selection of Asha’s immense new work.” “It was an honour for us to host this event,” said a beaming Avni Biyani of Foodhall where the event was held. Attending the event was a handful of celebrities from playback singer Anuradha Paudwal to Brinda Miller and Zeba Kolhi. Asha had the audience at Foodhall, Palladium hanging to her every word as she showed her fans how she conjured magic in her kitchen. Are job interviews a test of skill or a test of knowledge or a test of imagination? Are job interviews a check of personality, or a check of organisational fitment? You’re Hired! the latest from Popular Prakashan, walks you through live interviews that test all of skill, knowledge, imagination and personality. Not only that, it hand holds you through the whys of what are asked in interviews and tell you lets you know what interviewer is looking to hear. They say there are no right answers at a job interview. There are really no wrong answers too. Answers to an interview are really a matter of perspective. You’re Hired! takes you for an interview to a mobile company, an NGO, a new airline, an ad agency, a start-up, a PE firm, a TV broadcaster … and more. ‘You’re Hired!’ is a simulation of real life interviews. With real settings. Real interviewers. Real interviewees. Real emotions. Real questions. Real answers. Real dilemmas. Real tears. And real feedback. This highly-detailed book is a must-read for all job seekers. It is interactive and powerfully informative. In Jan 2011, Sandeep Goyal sold his 26% equity stake in his seven-year old India joint-venture with Japan’s Dentsu Inc., the world’s largest ad agency. The stake sale made this small town boy from Chandigarh, a dollar millionaire many times over. A gold medallist in English literature from Panjab University, an MBA from FMS-Delhi (1984), and an OPMer from Harvard Business School, Sandeep was president of the iconic ad agency Rediffusion DY&R before becoming Group CEO of Zee Telefilms Ltd. In 2001-2, Sandeep was India’s second highest paid professional CEO of a listed Indian company. That year he was also the first Indian on the jury of the global Emmy Awards. He wrote a best-seller on marketing, ‘The Dum Dum Bullet’, in 2005 to rave reviews. Goyal is currently pursuing his PhD thesis on ‘celebrities as human brands’. “I dream for a living,” says Goyal. This is what has perhaps helped him over 25 years to conjure up winning campaigns and marketing break-throughs for brands as diverse as Airtel to Apple, Citibank to Colgate, Honda to Horlicks, KBC to KFC and many many more. Over the years Sandeep Goyal has hired thousands (and perhaps fired hundreds!) of professionals. He should know a thing or two about job interviews … both good, and bad! Carol Goyal is quite like any kid her age… inquisitive-indefatigable-irreverent-insomniac … bubbling with ideas, bursting with energy, brimming with joie de vivre. A student of Law at Symbiosis, Pune, 19-year old Carol did her schooling at Villa Theresa, Mumbai, and her A-levels from Podar International. She was on an international student exchange programme to Holland in 2010. A keen photographer, she has shot four well-reviewed calendars in Japan, Israel and New Zealand. A nature enthusiast, Carol loves wild cats and adores her pug, Jambo. Carol has recently received her driving license. Racing a red Ferrari is now on her must-do list in the coming year! 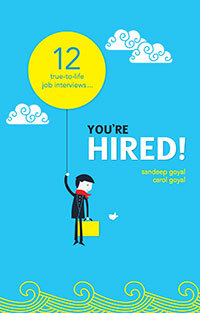 Categories: Uncategorized | Tags: author, Coral Goyal, interviews, job, Job Seekers, Popular prakashan, Sandeep Goyal, You're hired | Permalink. Biographies provide the source material for understanding and writing of history. Popular Prakashan has played its part in providing this important input. One of the major biographers who have made this possible is Dhananjay Keer. Born Anant Vitthal in a small district place Ratnagiri in April 1913, Keer took to writing pen-portraits in English under the pseudonym Dhananjay. In his early youth, he had the opportunity of meeting Vinayak Damodar Savarkar and working with him in his fight against untouchability. Keer took on himself the task of writing a full length biography of Savarkar. Thanks to the author’s proximity to his hero, this biography is regarded as the authoritative work on Hindutva. Keer followed this up with a biography of Lokamanya Tilak, the Father of the Indian Freedom Struggle, whose birth place was, again, Ratnagiri. Savarkar prompted Keer to write on Dr. Ambedkar, even though Dr Amedkar was not well disposed towards Savarkar. With this effort, Keer started on an important phase in his journey as a biographer. His biography of Dr. Ambedkar has become a source of strength to Ambedkarites and a reliable sourcebook for students of Dalit movement. This biography has proved to be a bestseller in English, Marathi and Hindi. While Ambedkar was a senior contemporary, who was accessible to the biographer, Keer had, further, to undertake Ambedkar’s projected work of writing on Mahatma Phooley. A natural corollary was writing on Shahu Maharaj of Kolhapur. These three stalwarts of social revolution got projected outside Maharashtra after the publication of Keer’s biographies by Popular Prakashan. It provides a historical and sociological platform for social engineering in this era. Keer’s view of modern India was not Gandhi-Nehru centric. His works provide hitherto little known details regarding sociological and political events as well as personalities in India. Rewriting of Indian history will have to be based on these details. However, he acknowledged Gandhi’s role as a mass leader and wrote an important work on his life, Mahatma Gandhi: Political Saint and Unarmed Prophet, highlighting events ignored by numerous biographers. Keer wrote mostly in English. Yet he chose to write in Marathi the biography of C.K. Bole, the author of an important bill in Bombay Presidency. Also his autobiography and short life sketches of social reformers/scholars R.G. Bhandarkar. Categories: Uncategorized | Tags: author, Biographies, Dalit movement, Dhananjay Keer, Indian Freedom Struggle., Indian history, Popular prakashan, Savarkar | Permalink. And it was a regular day at Popular Prakashan. Guess what’s cooking this Diwali? For one, well-known gourmet chef Asha Khatau was at our office earlier that day for intense discussions with the editorial team. In between putting the final touches for her new book, taking decision on photographs and approving the layout, there were huge bursts of laughter. Have a look at the epic moment. Dussera is considered an auspicious start to new ventures according to Maharastrians; so what better way than having Entertaining with Asha Khatau in the fore? If you’re planning a party this is the book you need to invest in. Post that, we began thinking of various ways to decorate our office. In the midst of work enthusiastic team members took time off to decorate the entrance with a rangoli of marigold leaves and flowers. The Puja set was in place. Mr. Ramdas Bhatkal – Managing Director of Popular Prakashan Pvt. Ltd popularly known as Baba – performed Puja devoted to Saraswati Devi and Laxmi Devi, while the entire Popular Prakashan family joined him. Since Apta leaves represent prosperity and good life, they were exchanged amongst each other with festive wishes for prosperity. All in all it was a fruitful and exciting day. Sharing some moments captured. Categories: @Popular prakashan, Asha Khatau, Dussera, Mr.Ramdas Bhatkal, Puja, Saraswati Devi | Permalink.